English musician Greg Lake was one of founding members of the iconic progressive rock bands King Crimson and Emerson, Lake & Palmer (ELP). His last studio work was over two decades ago, but Lake has been keeping his live work on a steady release, with his latest live album "London 1981" coming out on August 7th through Purple Pyramid Records. The new eleven-song release touches upon every aspect of Lake's past work up to his first solo album in 1981. Beginning with the ELP instrumental "Fanfare For The Common Man/Karn Evil 9," the Greg Lake Band gets things off to a rocking start before heading into the lead-off track "Nuclear Attack" from his just released solo album. After a couple more songs from his solo album ("The Lie" and "Retribution Drive"), Lake goes back to his early ELP days with the fan favorite "Lucky Man." He takes on the blues of "Parisienne Walkways" with Gary Moore on guitar, then delivers a quick-paced, rock n roll cover of The Miracles' "You Really Got A Hold Of Me." Lake then dives further into his catalog with a couple of songs from his days with King Crimson with the nine-minute "21st Century Schizoid Man" and "In The Court Of The Crimson King," before finishing the album with a bonus track, a version of ELP's "C'est La Vie" recorded in NYC in 1981. 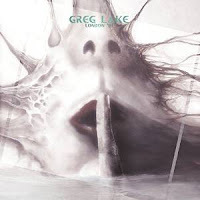 To find out more about the Greg Lake live album "London 1981," please visit cleorecs.com.